Subaru just launched the highest horsepower WRX STI in the companies history and it’s coming to the U.S. market only. This is a big switch for Subaru Corp. Before now, the only place you could get an S-line STI was in Japan. Now Japan can only look and not touch this 341-hp STI S209. There are other facts that are more surprising. The second surprising fact is, Subaru Corp will only build a very limited run of 200 examples for the U.S. market. Usually, Subaru and STI will build around 500 of these limited edition STIs. The S209 will be even rarer, so very few fans will be able to get their hands on one, and it won’t be easy for those who really want one. Three. Subaru did not announce a price for the S209. Subaru probably didn’t want to shock fans, because with even more Subaru Tecnica International goodies on it than the $50k Type RA released last year, that many thought wasn't worth the extra cost, don't be surprised to see a hefty price tag for this special STI that draws from the Nurburgring 24-hr race car. Four. The timing of the S209 launch is odd. Subaru is expected to bring the all-new fifth-generation WRX/STI sometime late this year as a 2020 model. 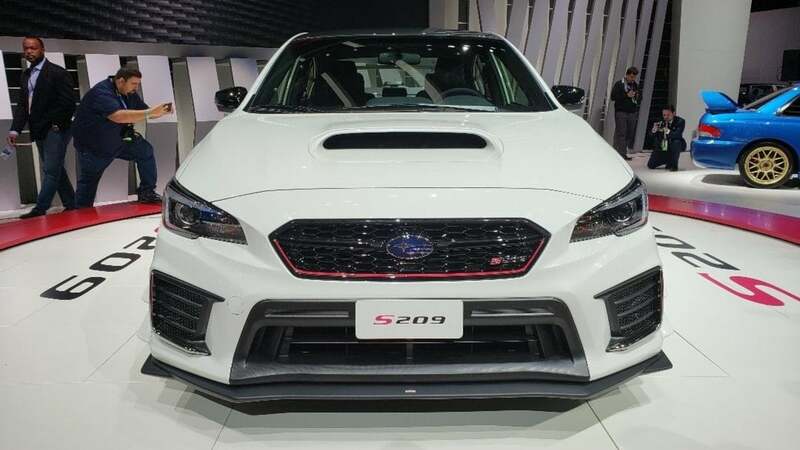 Subaru announced the exclusive S209 won’t be released until late in 2019. This would be strange for a new STI arriving at the same time as the S209. This tells us Subaru might not bring out the next-generation WRX and STI until 2020 as a 2021 model. Subaru has been quiet about when the next-gen model will arrive. Stay tuned. Five. As a special STI S-line machine, the S209 starts its life being built alongside the standard WRX STI at the Gunma Japan factory, but it's not finished there. Because it gets special Subaru Tecnica International upgrades in power, handling, and aerodynamics, the S209 undergoes final assembly in Kiryu, Japan, where it receives engine mods and expanded wide-body exterior treatments that require it to be homologated for the U.S. by STI. 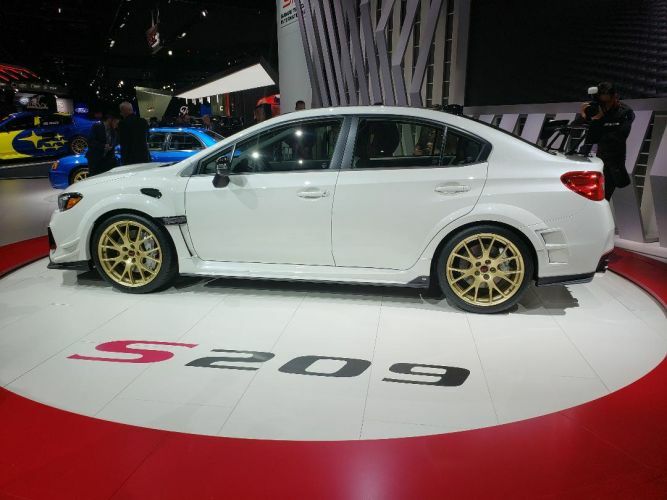 This makes the S209 the first “STI-built” Subaru WRX STI ever sold in the U.S. market. Six. You won’t be able to walk into your local Subaru dealer and buy one of these S209 STIs. In Japan, the S-line limited editions are limited in more than just production numbers. Purchasing an "S" model is different, especially considering that it's technically not even a Subaru model because it’s produced for Subaru by Subaru Tecnica International. Previous Subaru "S" models sold in Japan were sold via a lottery to determine who is lucky enough to get one. It will take more than a performance STI enthusiast who has enough money to buy one. You will likely have to get lucky to even be selected to get one of the 200 examples being shipped to U.S. shores. Stay tuned for more details on how to get one and for pricing on the 2019 Subaru WRX STI S209 that could shock STI fans. It’s well known that there’s a South African STI with more horsepower. Maybe try a google search to vet your headline before hand? That is Subaru’s marketing, and not his own words. For that matter, though, the STI TC380 has 380hp, and uses the same turbo as the S209 is expected to use. However, STI do not manufacture the Diamond edition or the TC380. Subaru manufactures the former, and an aftermarket company produces the latter for Subaru - so this IS the highest-horsepower STI model, as 2nd place belongs to the S208, with 324hp.